Éliane Radigue in her studio, Paris, ca. 1970s. Photo: Yves Arman. HOW LONG did an hour feel in 1971? Was it like three 2018 hours? Ten minutes? The music of the eighty-six-year-old French composer Éliane Radigue forces these questions because as much as it’s about synthesizers and magnetic tape and silence and held notes and resonance, it is also about time. Her work cannot be excerpted or sliced into representative swatches or versified. The movement from a piece’s beginning to its end is the motif itself; to lose even a little of that adventure is to lose the music. Œuvres électroniques (Electronic Works), a new fourteen-CD box set recently released by Ina GRM, collects pieces recorded between 1971 and 2007. The shortest of them is a little over seventeen minutes long; most of them run closer to an hour. These days, Radigue composes largely for acoustic stringed instruments, but she remains as focused an artist as electronic music has ever had, possibly because she never needed the equipment to hear her sound, only a series of tools with which to render it. In the early 1950s, Radigue came across a radio broadcast by musique concrète pioneer Pierre Schaeffer and went to study with him at the Studio d’Essai in Paris. In 1967, she became the assistant to Schaeffer’s colleague and competitor Pierre Henry, mixing and editing the sounds Henry used in his compositions. After suffering under the pair’s culture of machismo, as she described it in a 2013 interview, Radigue began to make her own music, using a variety of electronic equipment and configurations of magnetic tape recorders. If one thing separated her work from Henry’s, it was the elongated tone, which she first created using microphone feedback. When she traveled to New York in 1970, she discovered the tool that dominates this box set: the ARP 2500 modular synthesizer. 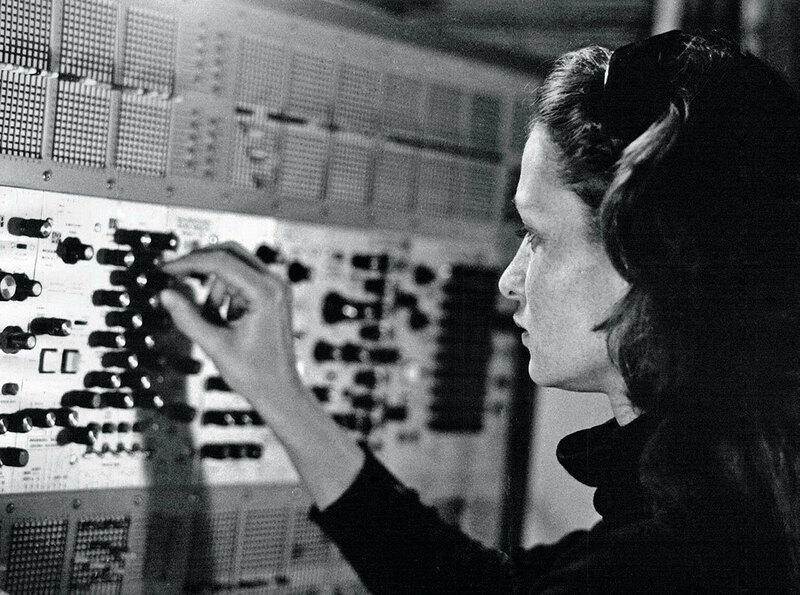 Unlike the Moog and the Buchla, in which cables were used to connect modules and which made Radigue feel like she was putting her hands into a “dish of noodles,” the ARP featured matrix switches. Working slowly, sometimes spending years on a piece, Radigue created an unassailable and undimmed body of work. There are a few parallels for Radigue’s output, like Giacinto Scelsi’s Hymnos (1963), which flirts with droning, massing strings for long stretches of close dissonance. Later, American artists such as La Monte Young and Phill Niblock explored how long notes could be held and gently moved from intonation into blocks of disorienting sound. But Radigue carried her notes for longer than anyone around her and adjusted them more incrementally. Her 1974 Adnos I is a seventy-one-minute slide into blissful dissociation. Radigue’s own liner notes are particularly vivid: “From adage to adynamy, for all the adolescents and the adnate, this addendum. / Adnos: Moving stones around in the river bed does not affect the stream, but alters the fluid shape.” For this piece, and many others collected in Œuvres, Radigue generated sounds with the 2500, recorded them to tape, and then created an array between two tape decks that elapses over time. Sounds fall in and out of sync; pulses become beats become pitches. An overtone grows from a glimmering line into a peristaltic thatch that overwhelms other elements. A glassy chorus devolves into wisps, and suddenly your house is shaking from the vibrations of what could be a tractor trailer idling next door. This is just one of twenty compositions, and all of them have the same immanent richness, the same faith that sound, properly placed, can both sustain attention and instantiate it over time. Radigue’s interest in Buddhism—for her, a philosophy more than a faith—appears in several compositions that feature chanting and poetry, some of it recited by composer Robert Ashley. This has occasionally led to the labeling of her work as New Age. (I once found a copy of 1986’s Jetsun Mila, which sounds like a diving bell being sanded down to nothing, in the “Yoga” section of a Barnes & Noble in Iowa.) Radigue’s sounds are often piercing and abrasive, and absolute hell for anybody suffering from tinnitus. Tonal immersion is associated with meditation, but it also aligns with those moments of existence when, without ballast or reference, you are thrown into the exigencies of nature. Radigue is not your background music, ever, and that alone is a gas in a multitasking age. 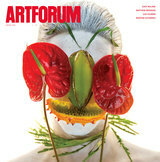 Sasha Frere-Jones is a writer and musician living in New York.